I am glad to show you the preview of a new fabric called Rubino. 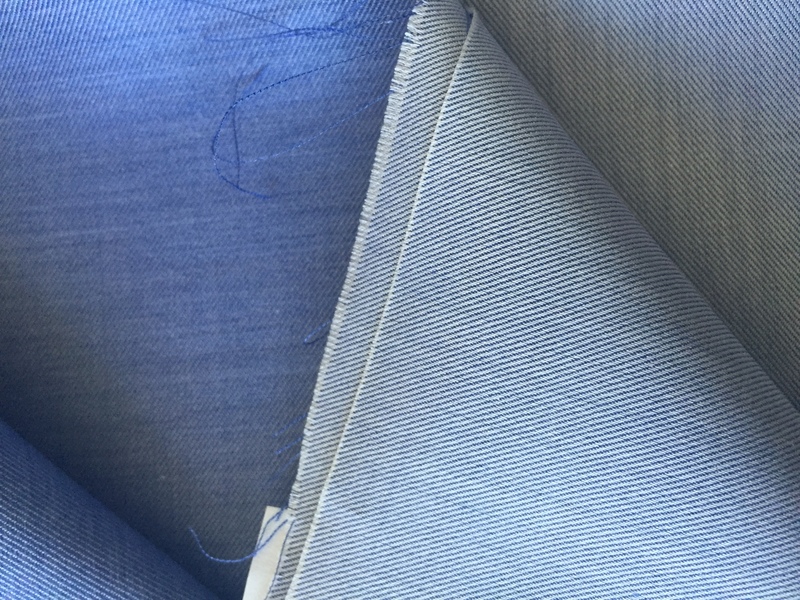 The idea is to create a fabric that recalls denim with the best characteristics of Bonfanti Tessuti fabrics. We use yarn Ne 120/2 for the warp and Ne 100/2 melange for the weft to get closer to the traditional color of blue jeans. We are very happy with the result and we hope that you also appreciate this new pattern and color. Rubino is just the first of many other ideas we are working on, follow us to get informed about next news. When will this fabric be available? as soon as possible I will post the pre-order of this article…. Amazing contrast, very nice. What is the weight of the fabric? It has arrived in HK… beautiful fabric! Soft and smooth, a true shirting “denim” (not denim “denim”). We like it.